Hopefully I’m not ruining the new Avengers movie for anyone, but if you haven’t seen it and don’t want any spoilers, maybe you should wait to read this blog post, although I won’t give anything too specific away. This last week has brought a lot of change for me and a lot of interaction with death and it’s nearness. 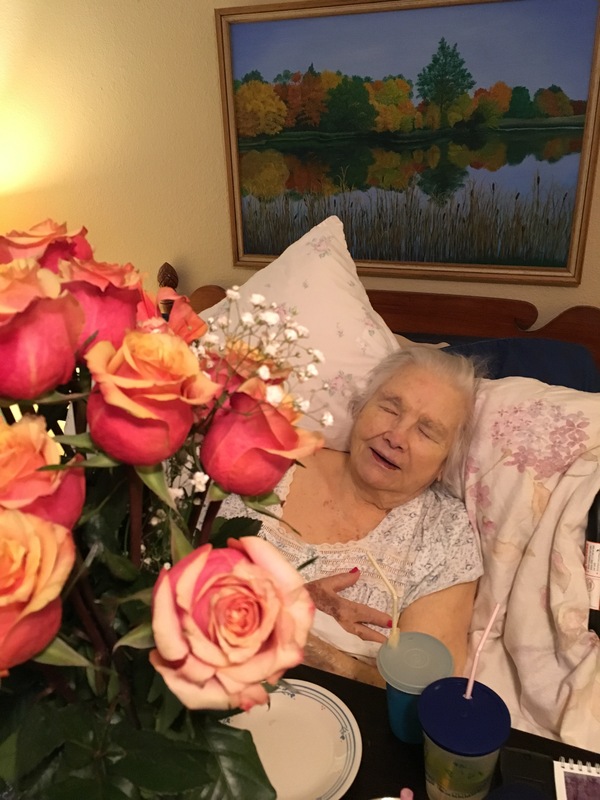 Last week my grandma started getting hospice treatment. She started with still doing her normal routine of coming to the kitchen for breakfast, lunch and dinner. 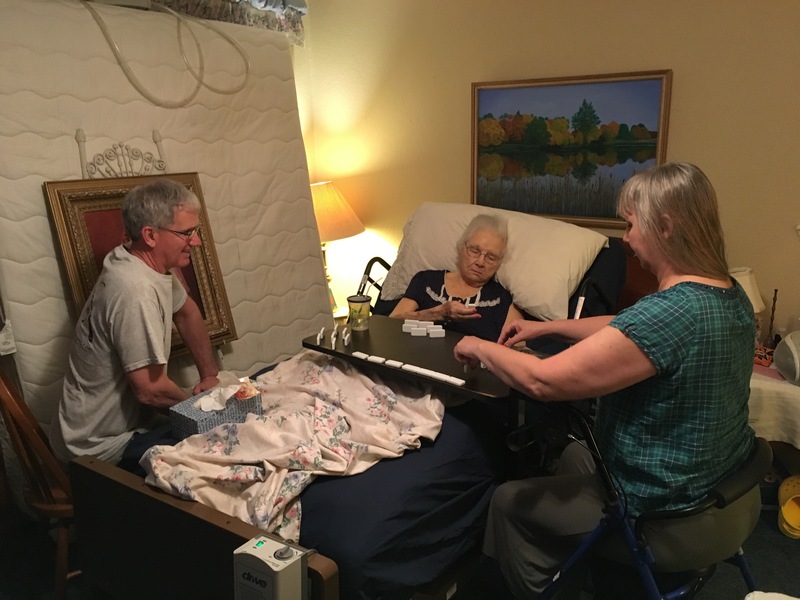 But she soon had a harder time walking to and from her room and then last Sunday we had her moved into a hospital bed and our nurse said she’s not leaving the bed. That was a big change for me. I didn’t realize how fast this was going to go. I knew she had liver cancer and she was slowing down and eating less, but going from walking to bedridden was a big step and seemed to happen too fast. Since then we’ve learned all about caring for her while she’s in a bed, how to help her sit up and move around and get changed. And hospice has been great with helping us through that. But in only a week I’ve seen her go from a bit of conversation, eating, drinking and even playing dominoes, to barely responding to our voices and mostly sleeping. We’re getting close to the end now. Last night our nurse came to check on her and she said it’ll be about a week. I’ve done a lot of crying, especially when all her kids and grandkids gathered to sing, pray and share stories with each other and her on Saturday. It’s hard to let go, but I know she’s going to a better place and this is not the end. And well, in the middle of all this I saw Infinity War. In the movie a lot of characters die, but the first time I watched the movie I didn’t cry at all. It’s like I just knew this isn’t the end and there is hope, partially because there is a part 2 to this movie and the next one will probably have a lot or all of the characters come back to life. But I just found it interesting that with the movie and my grandma I can still find hope even in the midst of the death. It is sad and I don’t want to say goodbye. But for those in Christ, we have a sure hope that there is a Part 2 for us too, that there is a future for us, one without pain or suffering, or death. I also was finishing reading Revelation this past week and it was so nice to read about the new heaven and new earth and what all I have to look forward to. So in case anyone else out there is going through something similar. Here are two verses that are bringing me comfort. Sorry to hear about your Grandma, but like you say we have a wonderful hope in Christ.